Michelle Kristel Ayalde (remember the name) is a singer for Worldwide Platinum Records and has been singing since the age of 4 in the Philippines, from whence she hails. I learn this, as I inspect the CD and accompanying literature the day after my (buddy, his word not mine) James from GoodGoodLife.org (shameless plug) invites me to my first album launch. She sounds better in the car than when I was listening from the upstairs lounge, even taking into account a small hangover, courtesy of Soju’s all you can drink launch. As I attempt to reconstruct the events of the night before, one thing made the experience stand out. This thing is, being able to converse with your companions in a civilized manner correlates negatively with being able to hear the music coming from below. I didn’t realize it at first cos the cover band… did a great job of playing pop songs. Coupled with the audiences’ familiarity with pop lyrics and music (not to mention ever flowing booze) it was no wonder that Michelle came across kinda heard to hear. I expect she sounded great from the ground floor. From the moment we arrived, quite late at night, maybe 11pm, the service was non-stop, always on, willing and almost excessive (this is a good thing). There were greeters and servers to show you to a well-appointed table, lead you to the rest room and lurk behind you to freshen your drink the moment you look remotely sober enough to make a run for it. The food was deep fried buffet fare. Very acceptable considering the time of night; nothing deserving of a photo though. 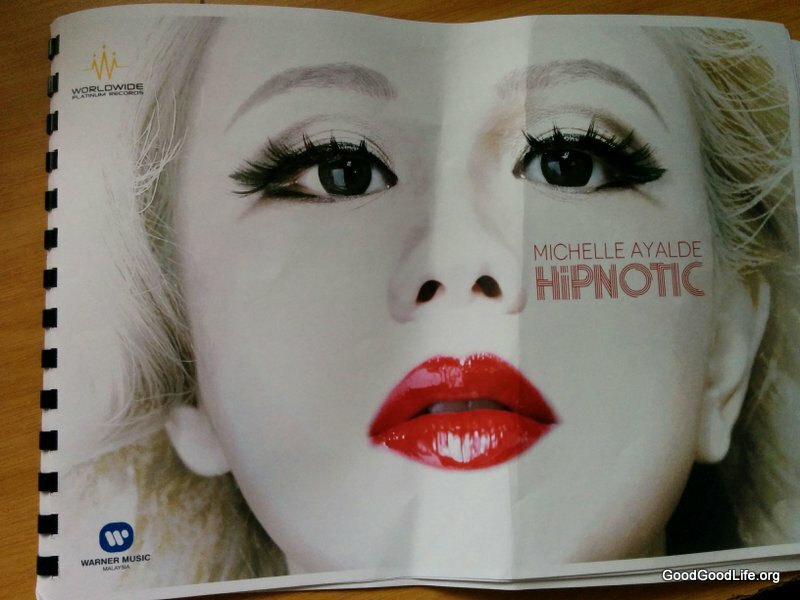 Worldwide Platinum Records plan to develop Michelle Ayalde as a homegrown artist here in Malaysia and for her to set a high bar across the South East Asian entertainment industry. Good luck with that and keep in mind the sound quality of your live venues. 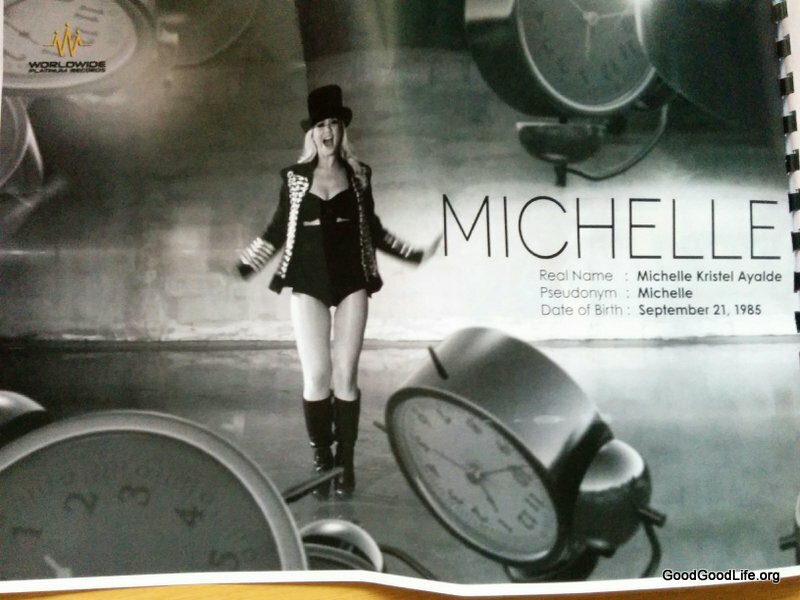 This entry was posted in News and tagged live band, michelle ayalde, music, soju by TheGoodGoodGuy. Bookmark the permalink.